The MAXIMUS Companion light looks exactly the same as the Maximus Smart Security Light in Craftsman look and has Bluetooth capability for easy pairing with the Maximus Smart Security Light. It syncs automatically with the light settings that were set for the Maximus security light. The light is easy to install in approximately 15 minutes when replacing an existing light fixture. No extra wiring is required. - The fixture comes with A19 450 lumen bulb in it and 3-color status LED with selectable display/hide modes. This 2 light vanity highlights metal wire shades to match urban dicor. The vanity bar can be mounted up or down to suit your personal style. The fixture is finished in ORB and Gold which matches most home styles. This 3 light vanity highlights frosted glass shades to match transitional dicor. The vanity bar can be mounted up or down to suit your personal style. The fixture is finished in oil rubbed bronze which matches most home styles. This 4 light vanity highlights opal glass shades to match transitional dicor. The vanity bar can be mounted up or down to suit your personal style. The fixture is finished in oil rubbed bronze which matches most home styles. 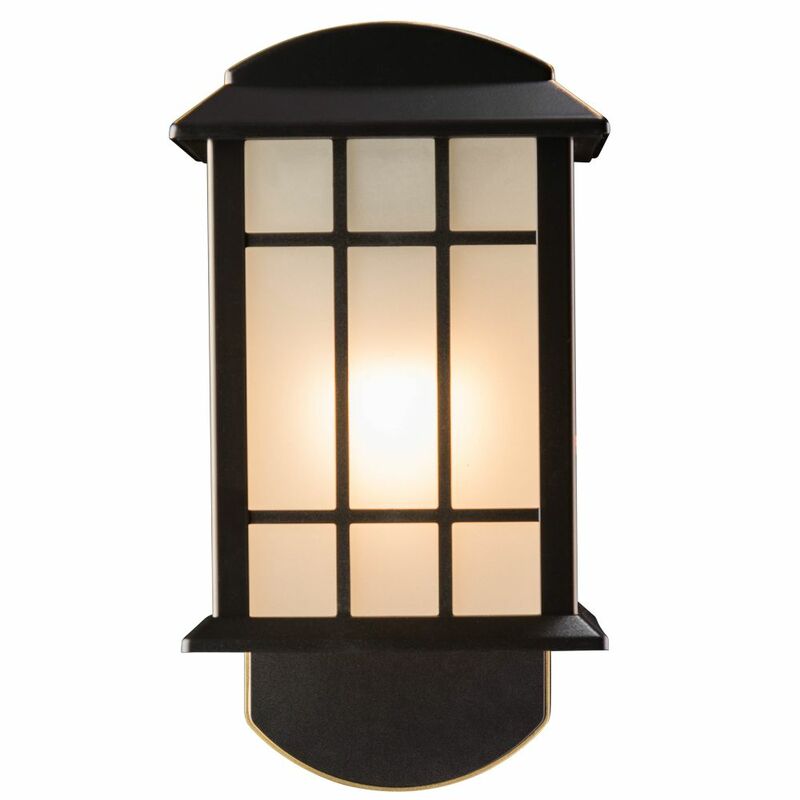 The CIRE outdoor wall light features a warm oil rubbed bronze finish. It is paired with a seeded glass shade for a decorative touch. The play on different lines and shapes with this fixture is what makes it unique. Perfect for your porch and many outdoor spaces. Craftsman Companion Smart Security Light - Oil Rubbed Bronze The MAXIMUS Companion light looks exactly the same as the Maximus Smart Security Light in Craftsman look and has Bluetooth capability for easy pairing with the Maximus Smart Security Light. It syncs automatically with the light settings that were set for the Maximus security light. The light is easy to install in approximately 15 minutes when replacing an existing light fixture. No extra wiring is required. - The fixture comes with A19 450 lumen bulb in it and 3-color status LED with selectable display/hide modes. Craftsman Companion Smart Security Light - Oil Rubbed Bronze is rated 3.3 out of 5 by 8. Rated 5 out of 5 by MJ from We bought it on Black Friday and so far, so... We bought it on Black Friday and so far, so good. The only thing that I wish about the camera is, if it would swivel a little more up or down and side to side. Otherwise, we like the features of it. Especially, how you can set different ring tones / holiday themes,when someone comes to your door. Rated 4 out of 5 by OK from Absolutely love my new lights! I purchased the light with... Absolutely love my new lights! I purchased the light with a camera and two companion lights without the camera. Plan on more install time if you don’t have the EXACT setup they expect you to in the install instructions. It took us almost 4 hours because I didn’t have a junction box. App is great! Rated 3 out of 5 by Parttimer from I ordered the front security light, companion and floodlight. The... I ordered the front security light, companion and floodlight. The housing is a little on the cheaper side, but from a distance, they look nice. After reading about multiple issues from other customers (failed to send motion alerts, poor customer service), I opted to return them and purchase Ring. Rated 1 out of 5 by Sam from The product arrived weeks late after ordering it. I have... The product arrived weeks late after ordering it. I have installed it and while the camera is of fair quality, the light is slightly crooked. The base was installed correctly and is not crooked but poor build quality has caused it to be tilted. Rated 4 out of 5 by new2reviews from Looks good. Works good. Have not tried Alexa integration. Would like an App on the Samsung fri... Looks good. Works good. Have not tried Alexa integration. Would like an App on the Samsung fridge. Tip, leave bubble wrap on light while installing. The hook provided to hold light is nice but light can easily be scratched if installing on a brick wall. Rated 3 out of 5 by Helpfulguy from Re: notimpressed Hey, word of advice to reviewer 'notimpressed'. Just buy your own WiFi router, they are like $30. You can then control the band (2.4 ghz, 5 ghz) and the channel (1-12). That stuff isn't directly "internet", it's something you can control, IF you have your own WiFi router (i.e. you don't need to lease it from your internet provider). You can own your own network. And it's pretty easy to configure through the setup software they always include. My own experience with this security light is that it works adequately. To use it as a security feature though, realistically you need to subscribe to storage, which is expensive. Rated 1 out of 5 by notimpressed from The product does not work properly on live feed and the "help desk" can only tell me to hack into... The product does not work properly on live feed and the "help desk" can only tell me to hack into my internet providers equipment and change it form channel 6 to channel 11. I presume this is to change it from 2.4mhz to 5mhz or something on those lines. This is something I am not inclined to do since it is not my equipment and they are unwilling to help because they want to sell me their security system. Kuna's responsibility in this matter is to provide a product to the customer that works with what ever the internet provider has or inform the purchaser of their product that the is an issue, so the customer is informed before they waste $200.00.